This Safari will take you for a memorable adventure into the wilderness. Reindeer sleigh is one of the oldest way of traveling in Sami Culture! Now you have a chance to experience this with a trustworthy, local reindeer herder. On this safari we will take you into a memorable tour into the beautiful nature of Lapland. We will get a good view of Saariselkä area from the top of a mountain. Safari starts every day at 8:30am. Price: 100€/ person when 2 persons share a snowmobile, 140€/ person when driving solo. This Safari will take you for a memorable adventure into the wilderness. Reindeer sleigh is one of the oldest way of traveling in Sami Culture! Now you have a chance to experience this with a trustworthy, local reindeer herder. On this safari we will take you into a memorable tour into the beautiful nature of Lapland and visit traditional reindeer farm. Price: 130€/person with shared 2 person snowmobile or 170€ /person when driving solo. In this safari you will head out to the fells of Saariselkä region. We shall take you to the best spots to view the northern lights. During our drive we shall will stop to view the sky if there´s any Northern Lights to be seen. With a little bit of luck the weather will be clear and we can see the Aurora Borealis! Safari starts every day at 19:30. Price:115€/person with shared 2 person snowmobile or 155€ /person when driving solo. 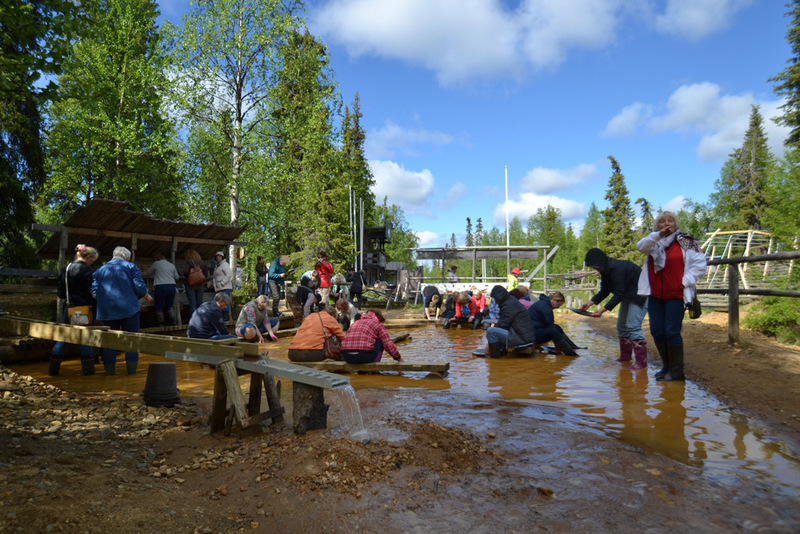 This safari will take you out to the wilderness to explore the Lappish nature. We will travel quietly in a reindeer sleigh. For the trip you will get warm overalls from our office. First we will drive to the reindeer farm by car. At the farm we will jump into the reindeer sleigh and start our way to the wilderness. During the evening you have a great view to check the sky if there are Northern Lights to be seen. With a little bit of luck, we will have a magnificent view of the Aurora Borealis. Safaris starts every day at 19:30. Safaris need to be booked at least one day before start. Please note that during high season some days will be full-booked completely. We will always try to find an alternative safari for you.